The question, which has spread speculation from common man to political class, is how long this government will last. Here I will try to answer this question astrologically. I will take the help of oath taking chart to unravel the mystery. Imran Khan has sworn in as 22nd prime minister of Pakistan on 18th of august 2018 between 10:18 am to 10:23 am at Islamabad. Let’s see what stars have in store for Imran khan and his government. Birth Star :- Vishaka , called as “star of purpose”, a goal oriented star which is a good time for taking on challenging situations. Tithi :- Ashtami ( 8th lunar day) which is considered as conflict or problem generator, hence unfavorable for starting any auspicious work. Day :- The day was Saturday, which is not a good day for something new to start. Hence the panchang elements were not very supportive on 18th august 2018. Now let’s analyse the swearing in chart of Imran Khan. The rising sign of swearing in chart is libra. For a muhurta, for such occasions a “fixed” sign is supposed to be good for solid foundations. Libra rising is moveable, hence unfavorable for such occasions which require solid foundations and steadiness. But Libra is vargottama with Moon and Jupiter together in it, making a very auspicious Gaja kesari yoga which is also present in his natal horoscope. This is one of the luckiest yogas to have in a horoscope which assures financial comfort, lasting fame and good status in society. This combination in the ascendant has the ability to nullify most of the ill effects of this unfavorable time (mahurat) and will give him a very impressive image in the world. He will emerge as a dynamic leader. Although the Ascendant lord Venus is debilitated in 12th house in Virgo which is the weakest point of Venus. A debilitated planet loses its power and becomes too weak to produce good results signified by it but Its dispositor is in 10th house from the ascendant and the ruler of the sign where the debilitated planet is exalted is in 1st house from the Ascendant so it gets cancelled the debilitation of Venus and Venus is vargottma planet for him and receiving the aspect of yoga karaka planet Saturn which is a raj yoga that gives success and a grand rise in career. In D9, Ascendant lord Venus along with moon are conjunct with Saturn which is retrograde, being a yoga karaka will be good but not as in retrogression. Retrograde Saturn makes matters very very slow and highly stagnant ,hence there may have to be repeated efforts to complete the task with lots of hurdles and resistance from the opposition. 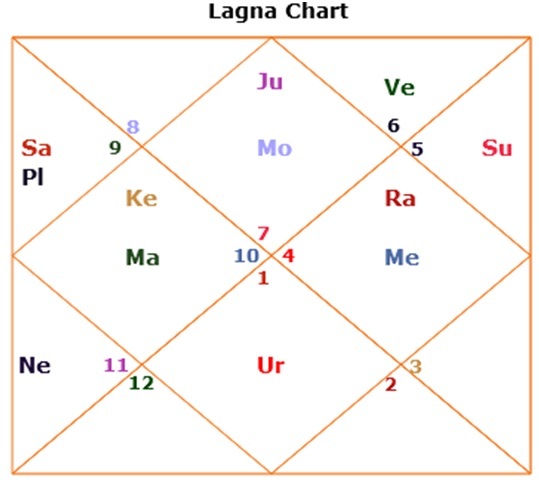 The Placement of 6th lord Jupiter in 1st house indicates the tenure of this government will be full of disputes and conflicts but as Jupiter is involved so it also gives wisdom about dealing with conflicts. Presence of Jupiter in 1st house is a big protection for the PM. Also ascendant lord Venus is well placed in D9 and D10 chart. So the longevity of the chart is enhanced to a great extent. 4th house represents home, home environment, peace of mind etc. 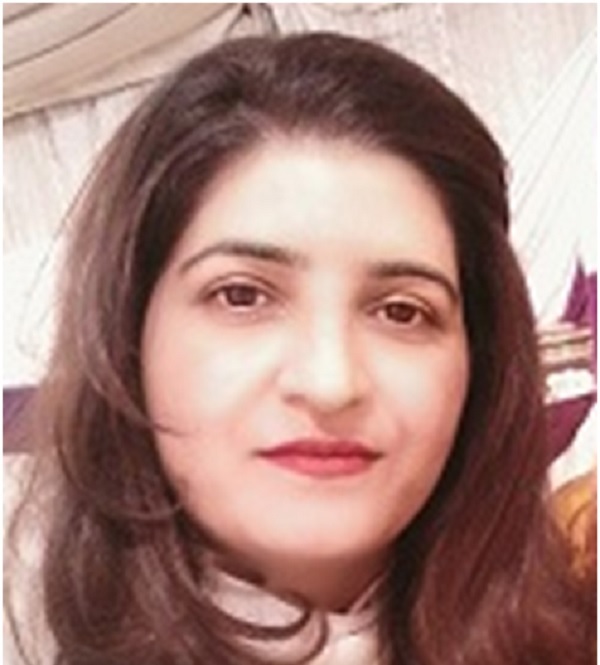 The 4th house has retrograde Mars and Ketu shows troubles, tremendous stress and tensions in home surroundings (Pakistan) and internal affairs due to opposition and violent events. Mars ketu conjunction is very volatile conjunction. This conjunction is not good for peace and can create brutally violent situation in Pakistan. 4th house also signifies the opposition thus indicates a very strong willed and dominating opposition who will fight till the end. As Ketu has separative tendency while Mars has the bundle of energy; So at times opposition will feel extremely energetic and next moment completely bereft of energy. In other words lack of consistency in their energy level. Mars 4th aspect on the 7th house brings a very challenging and dominating position of allies so it becomes very difficult to get along in any partnership for this government. 4th house is also house of throne in mundane astrology and Mars placement here indicates the government is somehow connected with Military. On the other hand, this placement of Mars gives an immense fighting spirit, a vibrancy of energy and self-will that will not allow others to crush this government. The next is the 7th house which represents his allies in the government. The 7th house has no planets. The lord of 7th house is Mars which is retrograde and conjunct Ketu in 4th house. Thus the allies may pull the plug anytime making the Government shaky. This conjunction of Mars ketu in 4th house can give ample opportunities to opposition to tighten the grip over the government. Saturn is lord of 4th and Mars is lord of 7th. So, the Opposition and Allies are likely to create problems for him. Mars in the 4th house of oath taking horoscope is showing danger to the stability of the government in the year 2020 when transiting Saturn and Jupiter will reach in Capricorn. The next and most important house is the 10th house which signifies Government. 10th house should be strong for the durability of the government. The 10th house is Cancer. Its lord Moon is in Libra at 29 degree (moving towards its sign of debilitation Scorpio) considered weak, along with the lord of 6th house Jupiter. 10th lord association with the 6th lord is not good. Hence, his government’s journey would be full of struggles and challenges. However, the strong dasha period will enable him to face these challenges with courage and confidence. 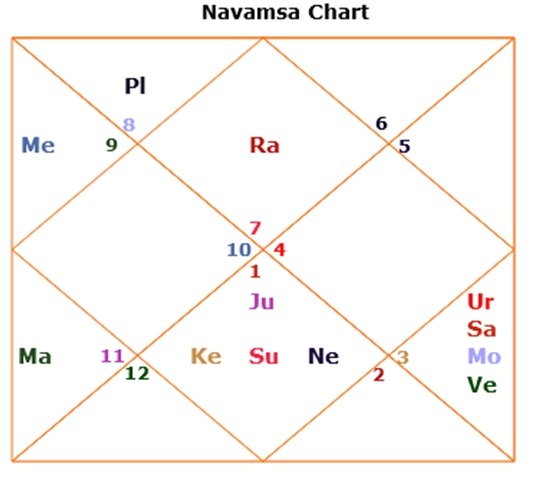 The association of 10th house lord Moon with 6th house lord (signifies armed forces) Jupiter in 1st house also signifies limited power of the Prime Minister which can end up in disputes and difference in opinion with the military. The Government is likely to get into tussle with the military establishment. He will surely be controlled and directed by Military. Sun, the planet of politics and government is very strong in own sign Leo in D1 chart with the strength at 7/36 points in AV chart. In D9, Sun is in Aries, exalted with 4/34 points hence Sun is very strong in this chart. Moon should be strong in selecting a fortunate time for such ventures since it influences the longevity of the government. Here in oath taking chart, moon in ascendant at last degrees is weak but with the Jupiter is good. Moon is in Vishaka birth star which is very goal oriented star, a good time for taking on challenging situations. Longevity of government is seen from 8th house, so 8th house should have benefic connection together with the 8th lord. There is no planet in 8th house which is a good parameter and there is no aspect on 8th house but 8th lord is in 12th house making Vipreet raj yoga. A yoga of reversal of bad situation turning into a good. As a result of presence of this yoga ,Prime Minister and his government will achieve victory over enemies. 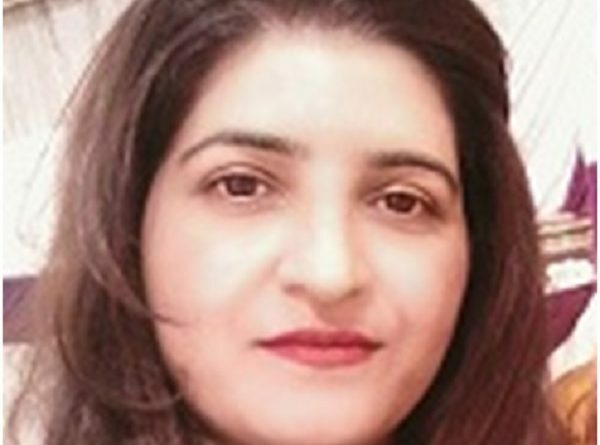 When Ketu will join Saturn in Sagittarius in March 2019, it is an indication of estrangement with India. In summer 2019 Pakistan will face tension at Indo-Pak border. This government may also have to face war like situation with India. Period between April 2020 to June 2020 and Dec 2020 to March 2021 is a high risk time. Pakistan should be more than ready for possible Indian vicious provocations during this period. In a nutshell, the swearing in horoscope of Imran khan has enough strength to give him full 5 year tenure but he will have to deal with a very hostile opposition. In 2019, Sagittarius and Gemini signs will get lot of malefic influence indicating that there could be a violent man made or natural event involving mass casualties and destruction. Alternatively, there could be a financial and economic disaster. The natal horoscope of Imran Khan is under the major period of Jupiter which can let him rule the country with a long period. At the time of next General Elections in 2023, he will be under favorable period of Jupiter-Venus (both are well placed in his natal horoscope) which can make him Prime Minister for the second time in continuity in 2023. Only a candidate with a strong birth horoscope can give him challenge and a tight contest in 2023 general elections. PS: Except Allah, who else knows what is exactly going to happen.